Why choose FitClic Neo Mounting System? Automatic, effortless attachment: magnetic forces guide the case towards the mount, thus sparing you of the trouble to look for the point of attachment typical to most mechanical systems. 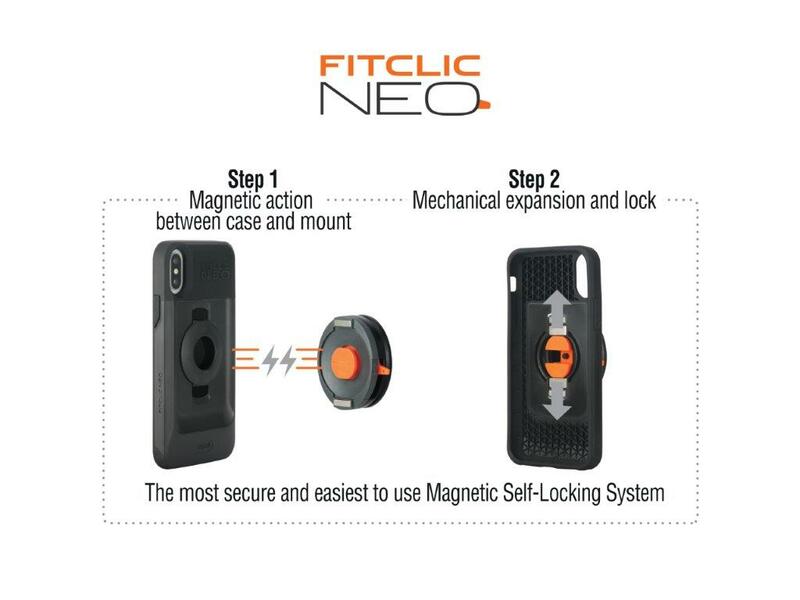 Secure, mechanical locking: once engaged, the magnets trigger a mechanical lock, thus keeping the smartphone securely attached. The only way to detach is to rotate the release lever. An additional level of security: the GoofProof lock, which is super easy to engage, helps to prevent any accidental detachment. For those who are satisfied with pure mechanical locking, the FitClic range of cases and mounts are still available. 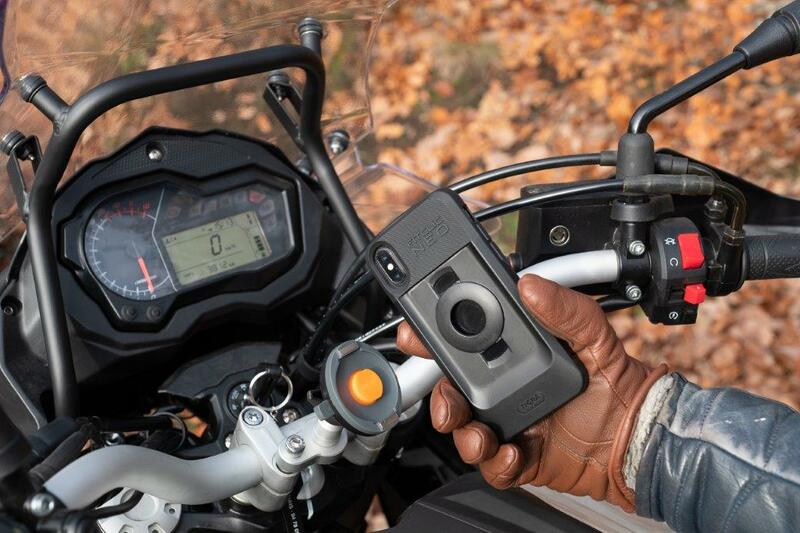 It’s patented twist-locking system is still one of the lightest, most secure, and convenient to use smartphone mounting systems in the market. * For selected iPhone models only. Want to understand everything about FitClic Neo mounting system, watch the video !